Remotr - Do Androids Dream of Deus Ex: Mankind Divided? Let me get this right away - I’m a huge fan of cyberpunk movement - be it classic Sci-Fi novels, tech-noir legacy of Blade Runner in movies, games, animations, comic or anything in between. That’s why Deus Ex franchise is very special for me - but this is not just some baseless opinion. Original game is arguably one of the most important and influential PC games of all times. You’ll find it in about every “Top 100 PC games” list you can think of. Taking that second installment of original series is considered one of the biggest disappointment in gaming history - Square Enix (which is the series publisher since 2011) is put under the spotlight with upcoming release of Deus Ex: Mankind Divided (which is a second game in line of prequels). So better to play it safe, right? They dropped some serious bombs in marketing department. First was the usage of the term Mechanical Apartheid - which upset some fans and journalists. Ok, so they did get criticized for using a phrase with some heavy historical burden behind it. What should be the next move? Should they step down a little? It’s a piece of concept art used to promote the game. 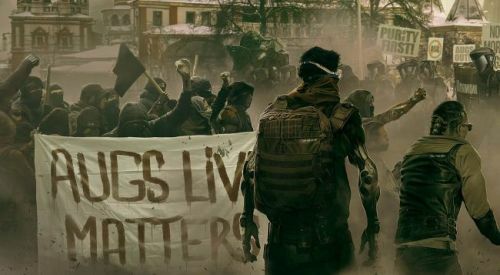 A “in-your-face” reference to Black Lives Matter, the highly controversial political movement protesting the systemic racism and abuse faced by African-Americans. Well played! That’s how you stir up a hornet’s nest, alright! 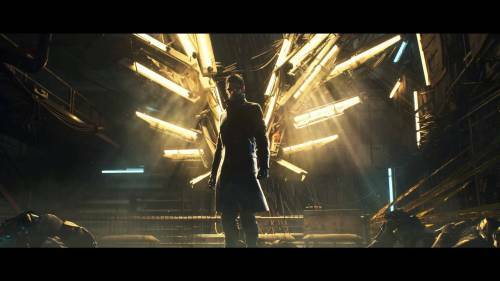 Deus Ex Mankind Divided will be available on 24th August 2016. You can Play Deus Ex on Android and iOS using Remotr.